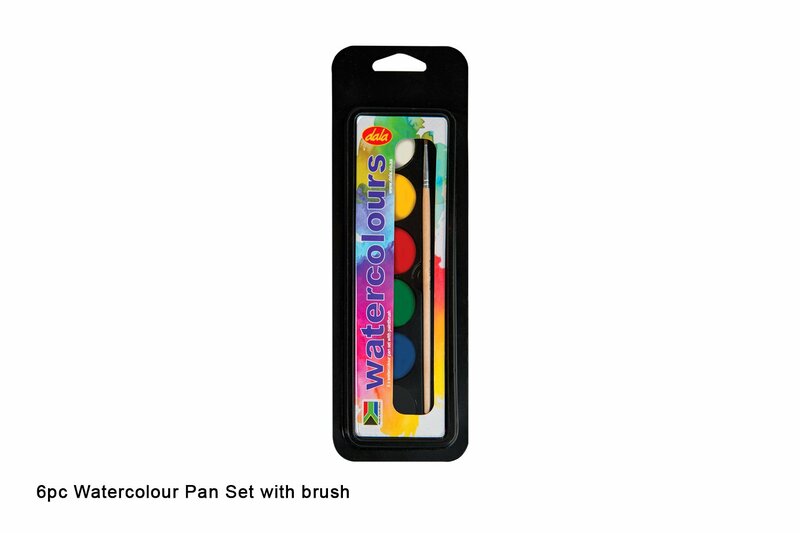 Dala's Watercolours sets are good quality 6 colour pan sets in protective plastic blister case and includes a paint brush. Available in standard and neon colours. Available as a set of 6 in a hard plastic case. See colour chart for list of included colours. Watercolours, as the name suggests, require the use of water to activate the colour. Dip a soft brush into water and then gently stir the water into the surface of the watercolour cake to release the colour, varying the amount of water you use to control the shade of the paint. Watercolours can be made very transparent, or very opaque. They are great for washes and working in layers. This item has 478 views.